Only available as a single size remnant of 2.4m x 4m. 108oz carpet,Two tone effect,Glossy finish, A superior luxurious and soft feel,Hard wearing and bleach cleanable carpet, Perfect for any room in a busy home, including stairs & landing,Action backing - Requires Underlay & Grippers.Specifications:Name: Colossus SaxonyColour: Light GreyThickness: 20mmMaterial: 100% PolypropyleneBacking: Action BackingStyle: SaxonyRemnants Sales Policy:1. All remna..
Only available as a single size remnant of 3.6m x 2m. 108oz carpet,Two tone effect,Glossy finish, A superior luxurious and soft feel,Hard wearing and bleach cleanable carpet, Perfect for any room in a busy home, including stairs & landing,Action backing - Requires Underlay & Grippers.Specifications:Name: Colossus SaxonyColour: Light GreyThickness: 20mmMaterial: 100% PolypropyleneBacking: Action BackingStyle: SaxonyRemnants Sales Policy:1. All remna..
Only available as a single size remnant of 4.2m x 4m. 108oz carpet,Two tone effect,Glossy finish, A superior luxurious and soft feel,Hard wearing and bleach cleanable carpet, Perfect for any room in a busy home, including stairs & landing, Action backing - Requires Underlay & Grippers.Specifications:Name: Colossus SaxonyColour: Minky GreyThickness: 20mmMaterial: 100% PolypropyleneBacking: Action BackingStyle: SaxonyPlease Note: This Produ..
Only available as a single size remnant of 2.5m x 3.9m. 108oz carpet,Two tone effect,Glossy finish, A superior luxurious and soft feel,Hard wearing and bleach cleanable carpet, Perfect for any room in a busy home, including stairs & landing, Action backing - Requires Underlay & Grippers.Specifications:Name: Colossus SaxonyColour: Minky GreyThickness: 20mmMaterial: 100% PolypropyleneBacking: Action BackingStyle: SaxonyRemnants Sales Policy:1.&n..
Only available as a single size remnant of 1.8m x 4m. 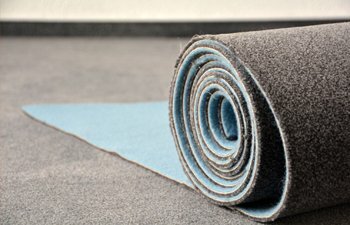 The overall tone of the carpet, allows it to compliment a wide range of room styles and colour schemes.Speckled appearance,Stain resistant & hard wearing,Can be cleaned with a diluted bleach solution, 2-ply pile - Adds density, depth in colour & wearability, Great for a busy family home, as it can help disguise footmarks and everyday dirt and fluff,Suitable for stairs & landings also,Felt Backing - Underla..
Only available as a single size remnant of 1.6m x 4m. 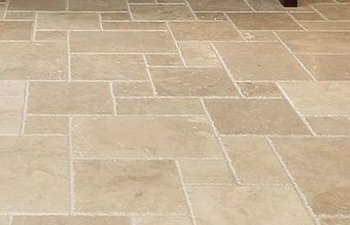 Soft & dense feel underfoot,stain resistant & hard wearing,Can be cleaned with a bleach solution,Great choice for the busy modern home in any/all rooms, including stairs & landings, Action backing - Requires Underlay & Grippers. Specifications:Name: Panama Saxony Colour: Steel Grey Thickness: 15-16mmMaterial: 100% PolypropyleneBacking: Action backing Style: SaxonyRemn..
Only available as a single size remnant of 2.9m x 4m. 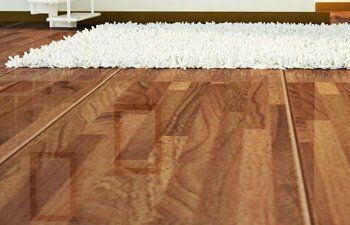 Soft & dense feel underfoot,stain resistant & hard wearing,Can be cleaned with a bleach solution,Great choice for the busy modern home in any/all rooms, including stairs & landings, Action backing - Requires Underlay & Grippers. Specifications:Name: Panama Saxony Colour: Black Charcoal Grey Thickness: 15-16mmMaterial: 100% PolypropyleneBacking: Action backing Style: Saxony..
Key Features:Anti Static, Anti Slip,Spill Proof,Stain Resistant,UV Resistant, Non Flammable,Class 22+ - Domestic normal usage - Suited for living rooms, entrance halls, hallways and offices. Only recommended for very light commercial usage.Specifications:Name: Hamburg 1467 - A1Size: 160cm x 230cmStyle: WiltonPattern: Modern Unique designMaterial: 100% PolypropyleneBacking: Woven BackingThickness: 3mmColour: Black/Multi..